The news that everyone has been waiting for, if only to end the rumours, has arrived. Live on one of the Red Bull TV channels, Daniel Ricciardo was confirmed as Mark Webber’s replacement at the Red Bull team - starting a multi-year deal next season. Co-Director of Red Bull Racing, Helmut Marko, was sitting next to his new signing as the pair were interviewed about the upcoming role, with Daniel Ricciardo breaking into his trademark grin when discussing the idea of working with hard but fair Adrian Newey. 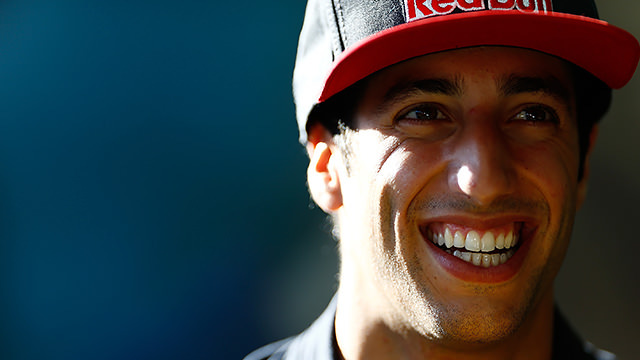 Ricciardo’s signing comes after weeks of speculation in the F1 paddock and press over who would get the coveted role. Kimi Räikkönen was in the frame but dropped out of it last week, leaving Toro Rosso star Daniel Ricciardo as the only likely remaining candidate. Daniel has driven for Red Bull’s sister team for two years, and whilst not impressing with a standout performance like his future teammate Sebastian Vettel did, he has put in some consistent drives that appear not to have gone unnoticed.